Is there a better alternative to DrawOutX? Is DrawOutX really the best app in Illustration category? Will DrawOutX work good on macOS 10.13.4? 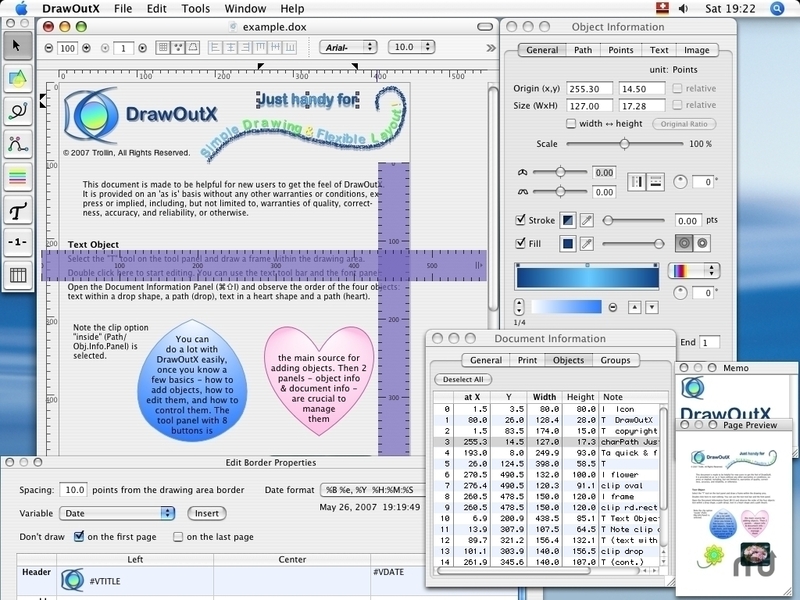 DrawOutX lets you create multi-page documents with simple draw and flexible layout. You can draw and control bezier paths (saved shapes, free lines, or lines and curves in mixture), write or paste text where you want, drag-and-drop images, add simple tables, stamp date and page, and finally export all or a part of the document as image (JPEG, PDF, PNG and TIFF). DrawOutX needs a review. Be the first to review this app and get the discussion started! DrawOutX needs a rating. Be the first to rate this app and get the discussion started!